More than 100 people gathered today to celebrate the start of stage 5 at NetPort Science Park. 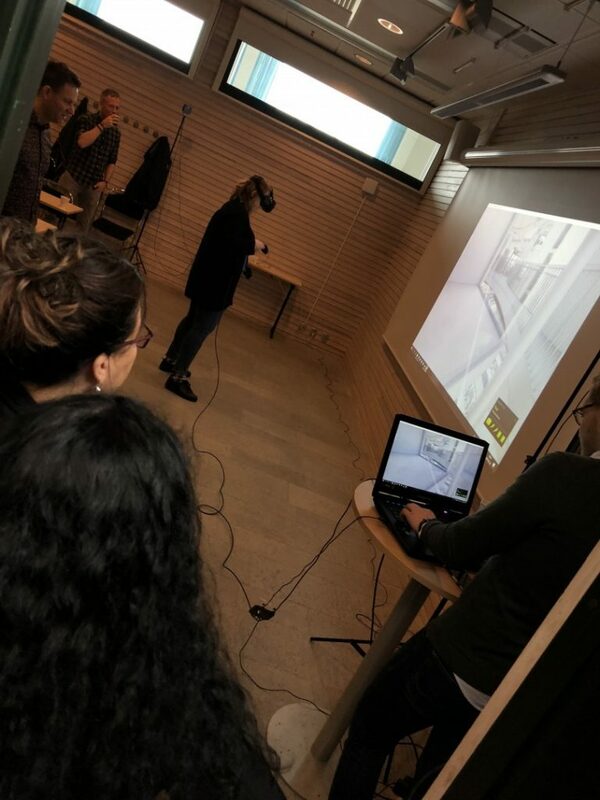 The event offered both new technology such as VR, sound showers and projections, as well as analog elements through a symbolic ground breaking event through a human chain at the location where the building will stand. 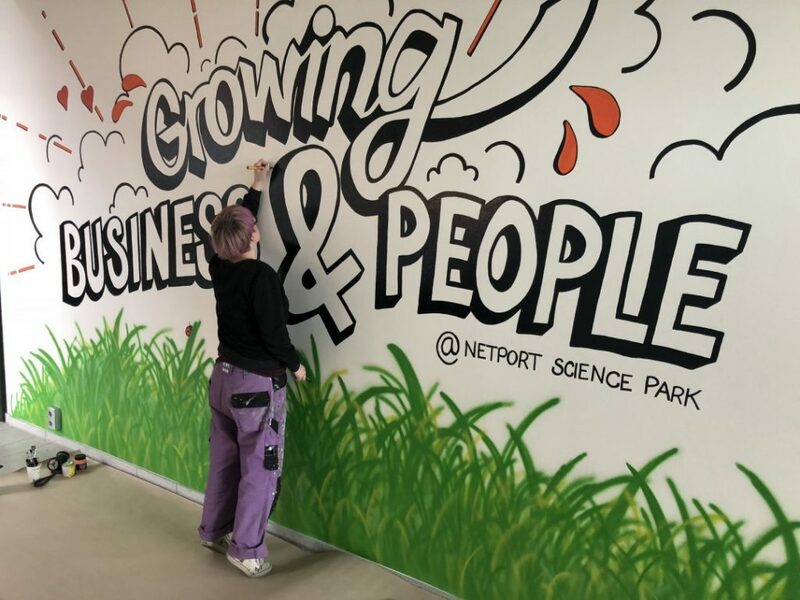 In two years, NetPort Science Park doubles its surface with 10,000 sq.m., providing space for 700 new workplaces, cinemas, concert halls and restaurant. Today, tenants and members gathered at a breakfast event at the start of the park’s expansion, the so-called stage 5. 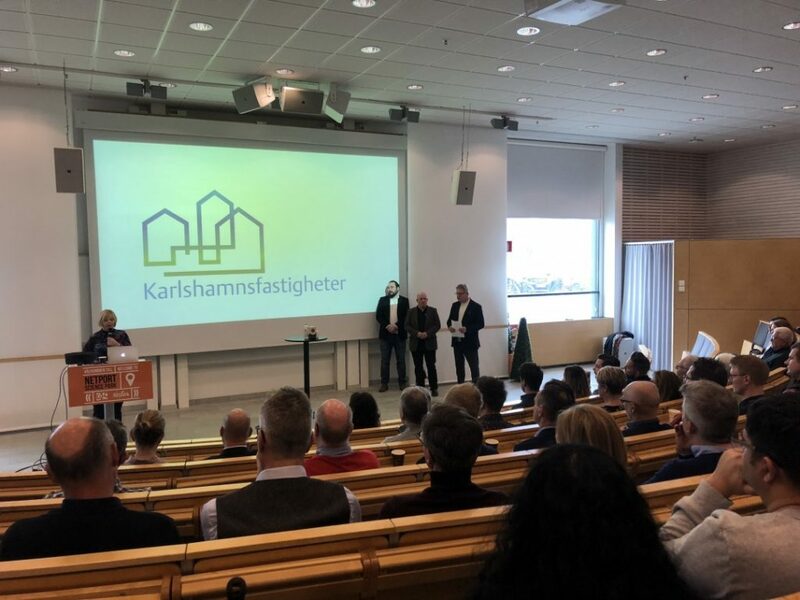 Karlshamnsfastigheter AB is responsible for the building and CEO Marie Wahlström says that one of Karlshamns municipality’s focus goals is to provide scope for growth and entrepreneurship. 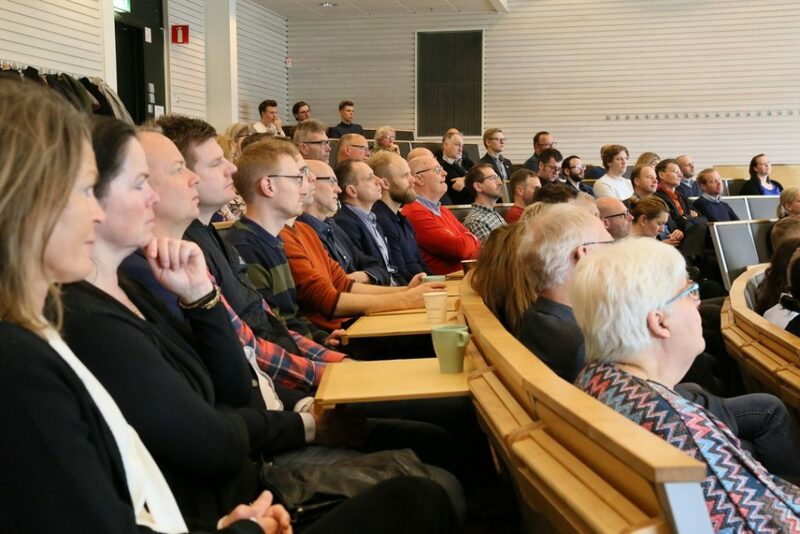 Our mission is to provide premises for Karlshamn to achieve this goal, says Marie Wahlström. 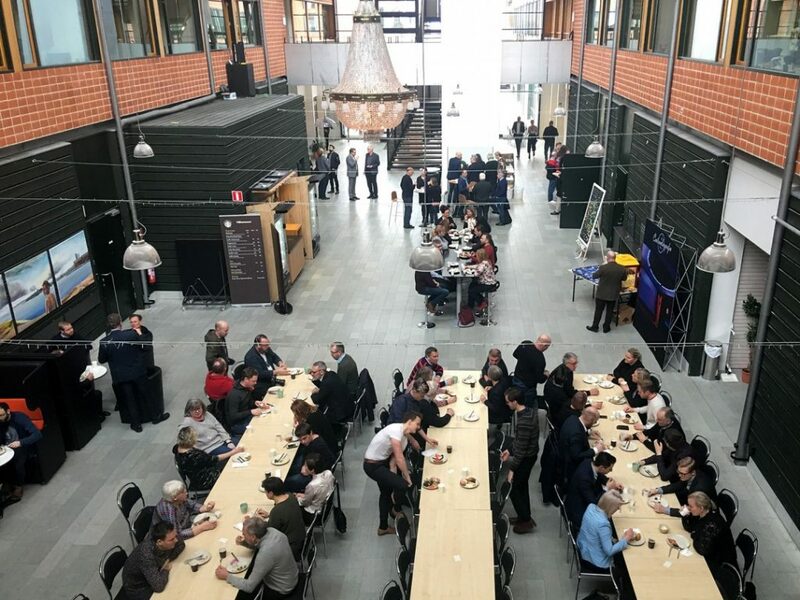 Therefore, we are now building attractive premises at the right location, which will attract new and existing companies and which also stands out to put Karlshamn on the map. We have to thank our courageous politicians for that, she emphasizes. The representative for the construction is Samuel Henningsson, CEO of NetPort Science Park. 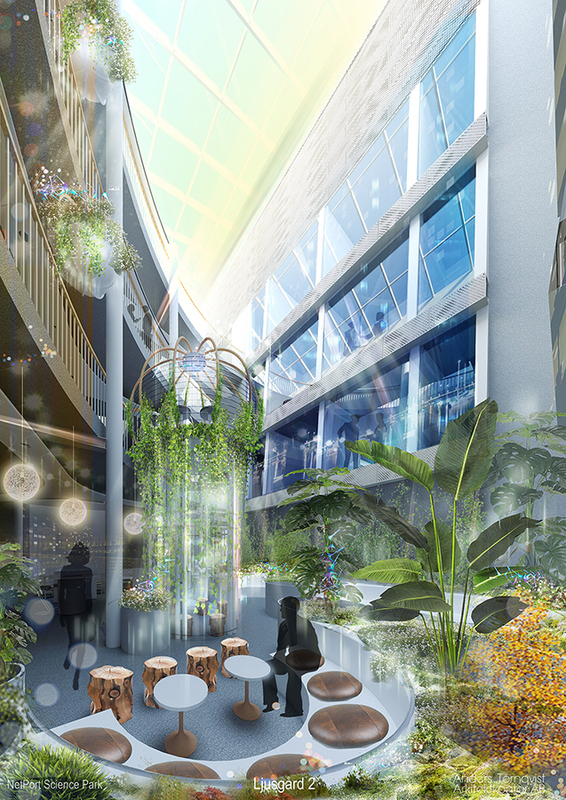 The purpose of the buildings content is to promote opportunities for new ideas, companies and markets to grow. It is Karlshamnsfastigheter that builds the building and NetPort Science Park which fills it with content. It is a collaboration that has been very successful during the three existing stages, says Samuel Henningsson. Today we see businesses in industries that did not exist when we started almost 20 years ago. The need is increasing from expanding companies at NetPort Science Park today and new ones want to enter. Through an expansion of the park, we can take advantage of opportunities that would otherwise be difficult to capture at local and regional level, says Samuel. 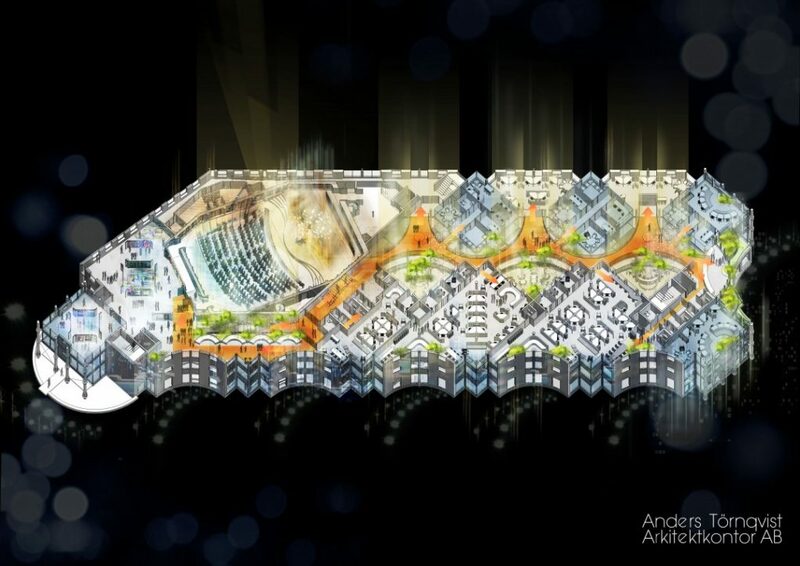 Anders Törnqvist who is the architect of the expansion works in close collaboration with NetPort Science Park and Karlshamnsfastigheter to find the essence of the needs, the place’s culture and conditions and develop them with the actual idea of design. And for those who do not have the patience to wait 2 years for the building to be ready, they could experience the house already during the construction process. With the help of VR technology you can enter the house and walk around. On a four meter high pillar in the middle of the exhibition one can experience the house through another technique; audiovisual projection mapping which, through a static image with integrated moving images, interprets the content. The sound for the installation is directed through a transparent dome in the ceiling. 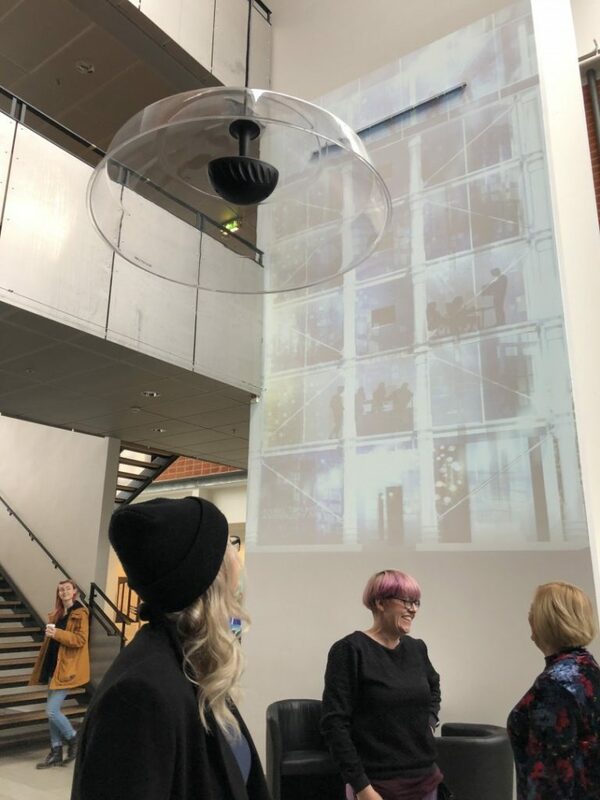 The art installation is designed by BTH students Philip Persson, Lucas Lindfors and Simon Jonsson who are going Digital Image Production. 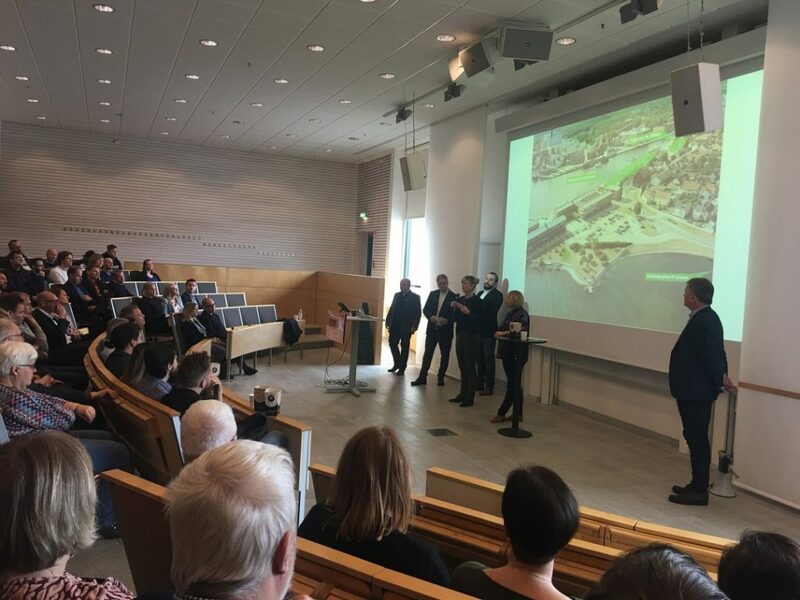 In the course Advanced study in production for media technology, they chose to work together with NetPort Science Park with the task of finding a new way of presenting a building that is not yet available. 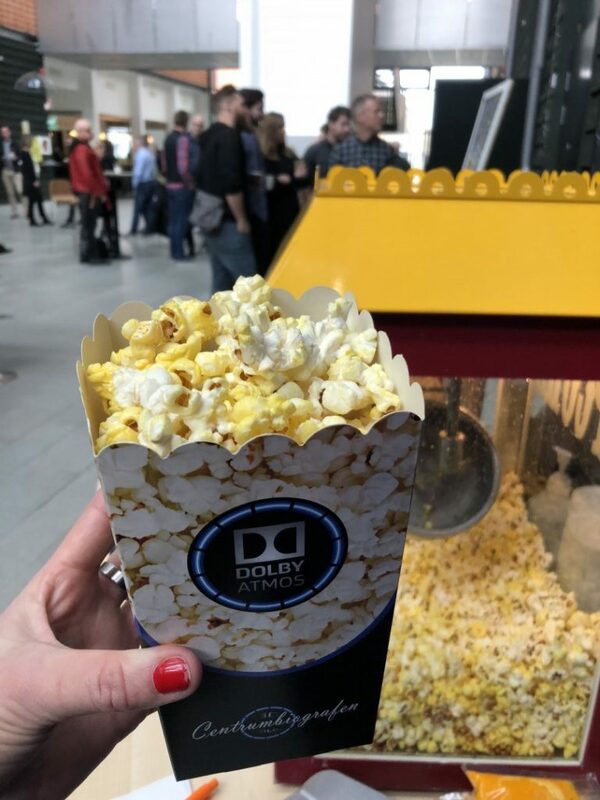 The first tenant to sign lease for Stage 5 is the Centrumbiografen, which hereby makes the largest cinema investment in Karlshamn’s history through an investment of between five and eight million. We will create a cinema of the very highest class, says Peter Johansson, co-owner of the Centrumbiografen. These new premises allow us to invest in the best possible audio and video systems in the bio industry. 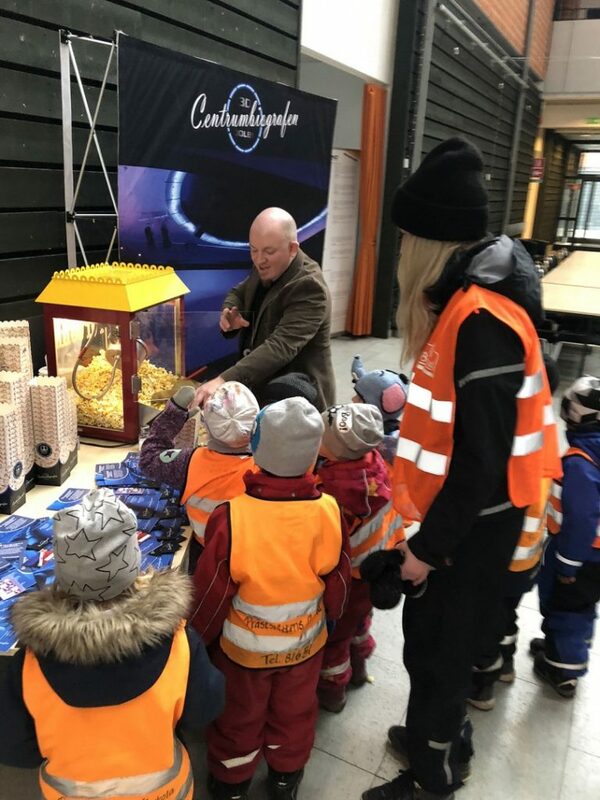 It is a future initiative that will create a flexible resource for the city of Karlshamn, since we can have a much broader activity than just traditional film viewing, Peter reveals. 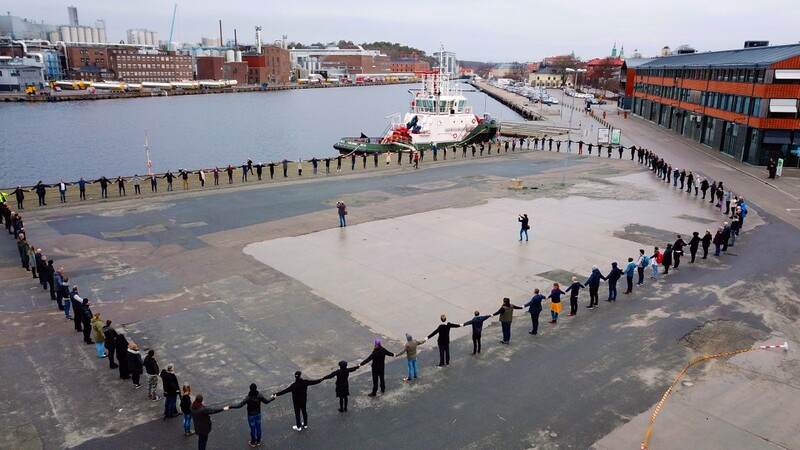 Because the building is created by people for people, the construction phase was officially started by shaping a human chain that illustrates the building in place. 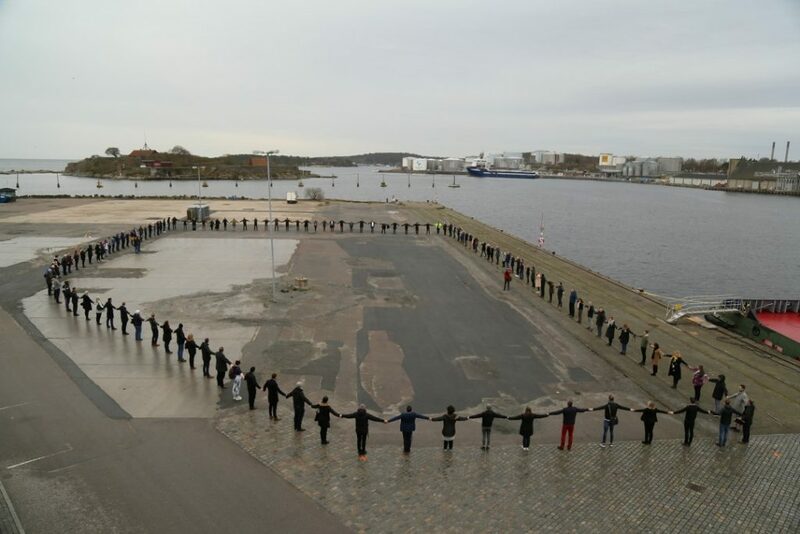 Over one hundred people from business, Blekinge Institute of Technology and the municipality joined forces on the pier, and the installation was documented with new technology by BTH. 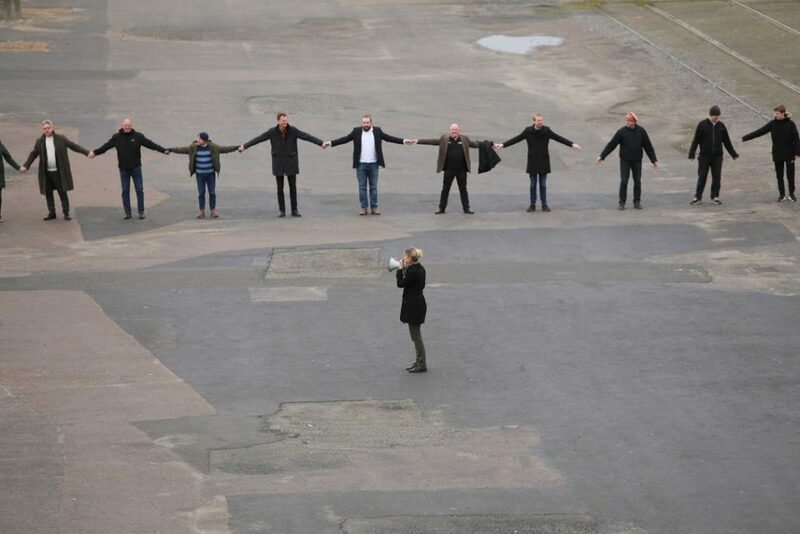 A symbolic act for a house that welcomes the community and culture of NetPort Science Park.